Text, call, send photos or videos worldwide over 3G or Wifi for free. Make sure you connect to viber before you get to Italy, because you will need 3G to get the text that verifies your username. The app will then automatically detect which of your contacts has viber allowing you to call and send messages to your friends! Use 3G or wifi to chat and send messages with your friends as much as you want. 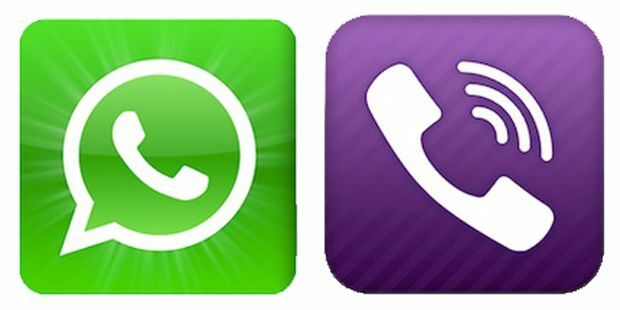 Whatsapp provides you with a phone number and adds any of your contacts that also have the app to your Whatsapp list. Use the app to video chat, voice chat or send messages with your friends and family back home. Connect with others using Skype. Plus, if someone doesn’t have Skype, its cheaper to add credits to your account and call a landline then it would be to make a long distance call! Get free unlimited calling to America and Canada. Save money on international phone calls for a flat fee. Plus, calls to other magicApp numbers are free! Perhaps the easiest way to stay in touch is to utilize Facebook messenger. Keep in touch with friends while on Wifi or 3G without worrying about being charged for anything. Take your conversations from your computer on the go with you. For more tips, visit Her Packing List.